Approximately 3 meters long - 2 stretches of 12 rungs. Old so although it looks like aluminium it is heavy and the base shoes are wood or missing - perfectly serviceable as a ladder. 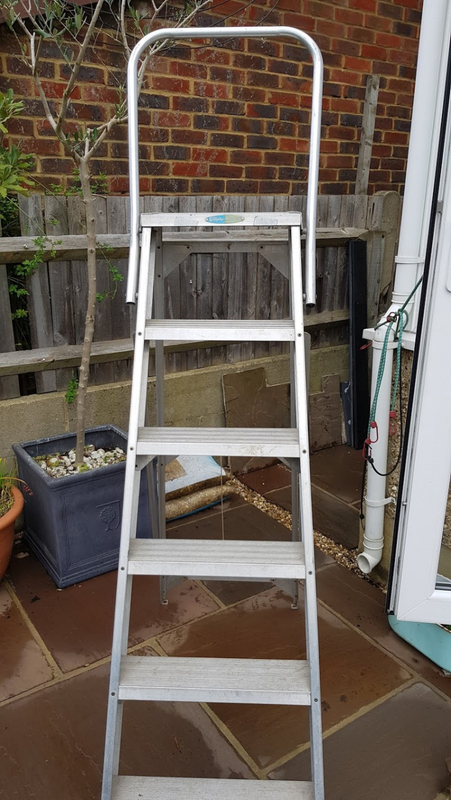 Aluminium folding Step Ladder. Platform height 140cm 40cm wide. Small opening Velux roof window 78cm by 56cm (Wooden surround). Removed by builder but not disposed of. 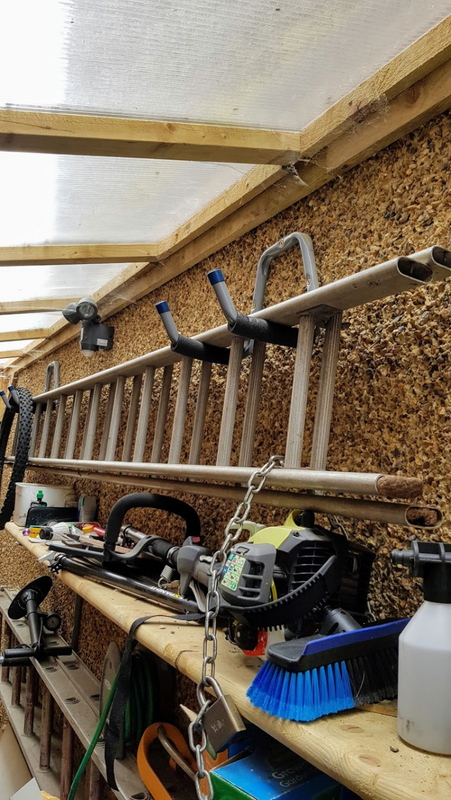 There are some thin pieces of aluminium for fitting it into a roof but cannot guarantee that all parts are there or not broken. The window is complete. 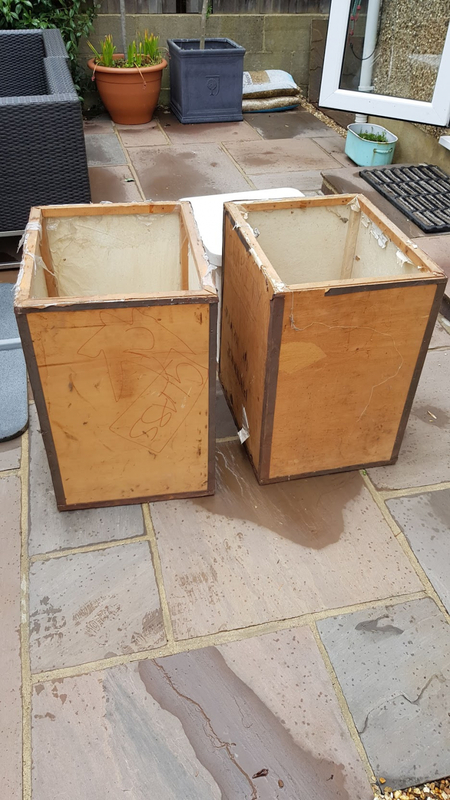 Two Tea Chests 61cm by 51cm by 41cm - thin plywood type construction - used when we moved 20 years ago! 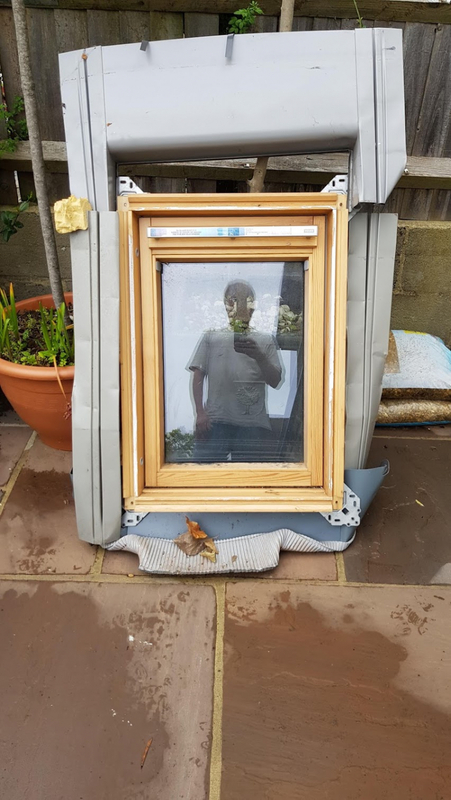 This would be a good project for someone with good diy skills. The car was working a few months ago and I'm sure it can be fixed. It has a 12v battery and a remote controller with it. 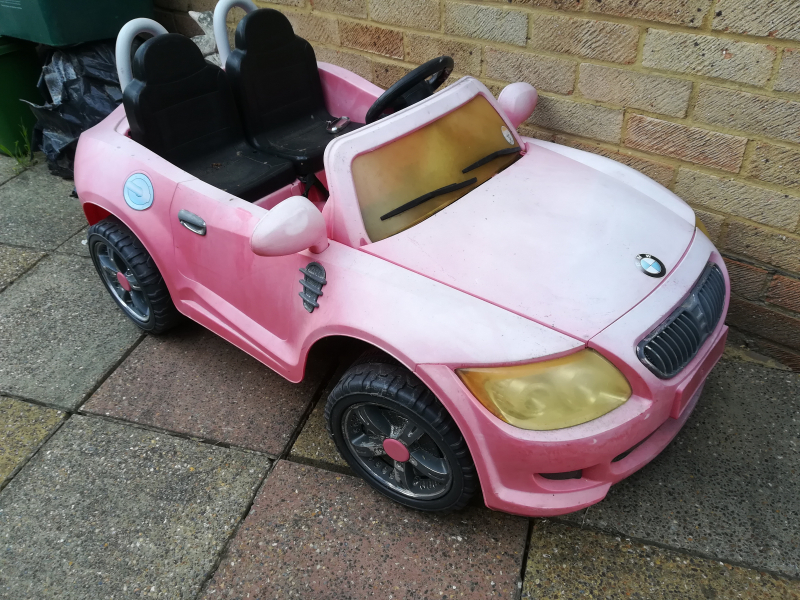 The remote control allows someone to operate the car for very young children who can't yet drive it. 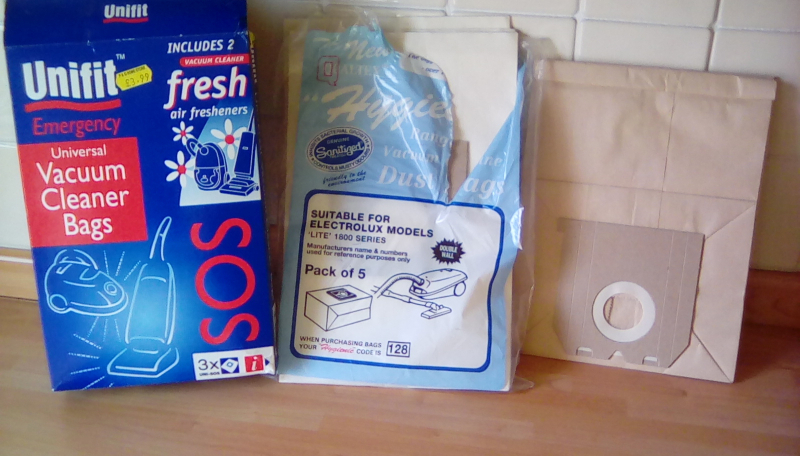 Collection from West Ewell. 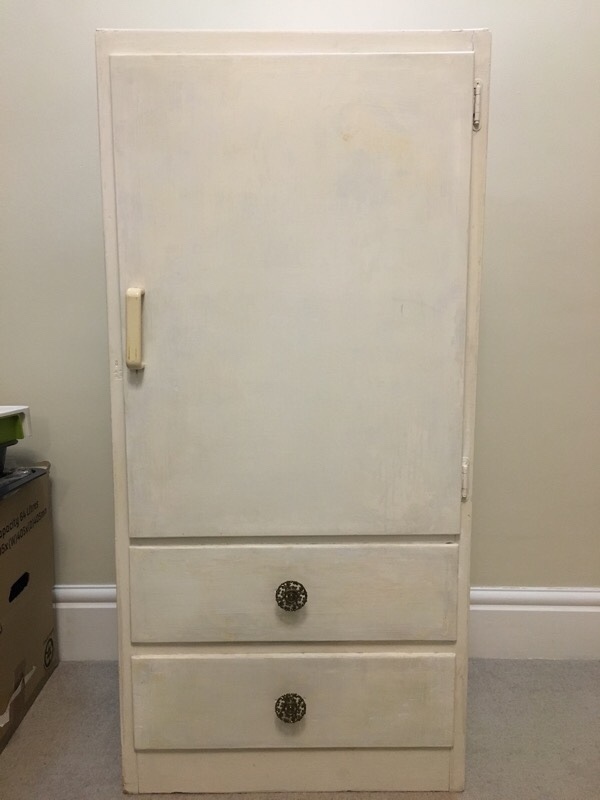 A tall white shelving unit with small cupboard. The height is 2m30 and about 1m wide. 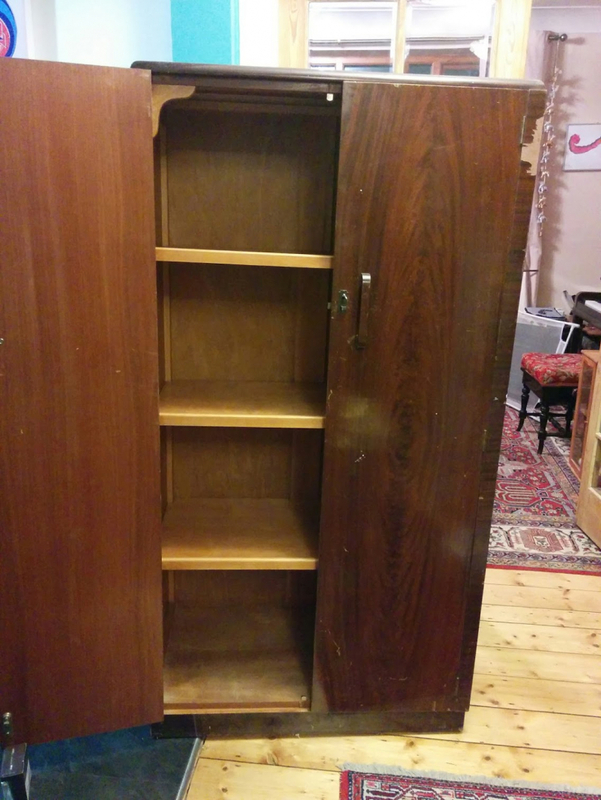 It is heavy and is in the front of the property at 14 Howard Road, Surbiton. 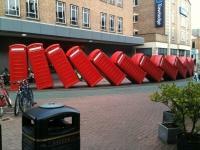 Please help yourself soon before it gets damaged by the weather. In great working order. Only used three times. 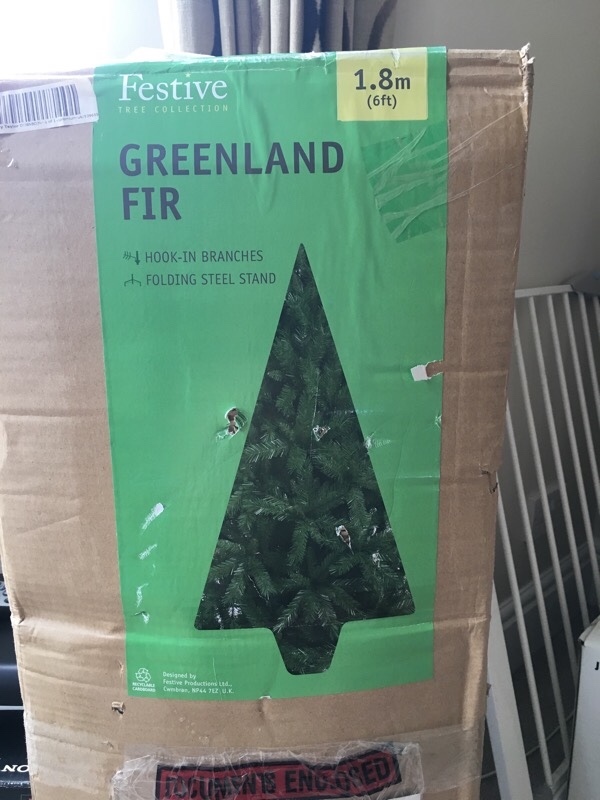 It is quite tall and wide when erected. 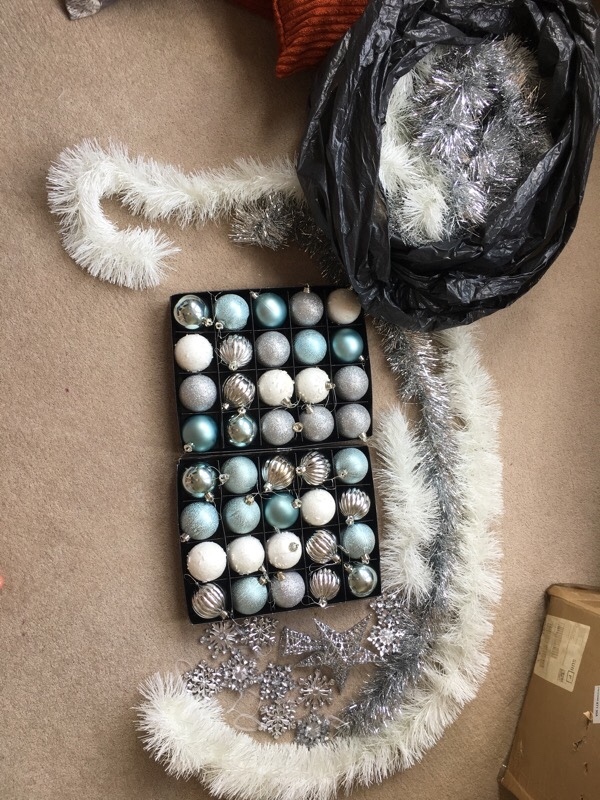 Baubles, tinsel and snowflake decorations with a star top. I have an East Coast Children's Cot Bed to give away. 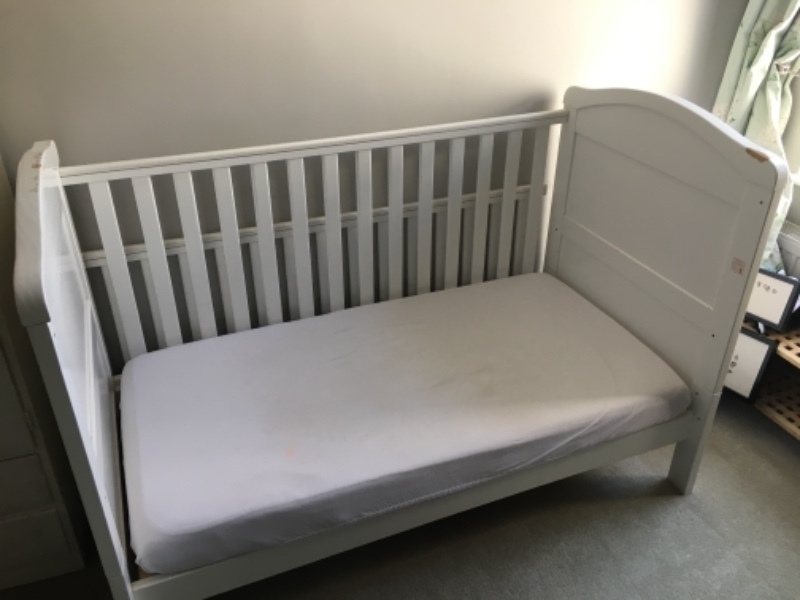 I'm pretty sure it's a the standard cot bed size of 70 x 140cm but if you need assurance, let me know and I will measure it properly. The bed can come with the memory foam mattress and some bed sheets that I will no longer require. The bed frame is solid with no cracks or breaks but does have some teeth marks on it which I'm sure can be painted over. The bitings have gouged some of the wood off. Some (up to three) of the barrel nuts have stripped and as a result do not hold the bolt as well as they should but given that the majority of the nuts are okay I have not looked to replace them as the bed is perfectly stable for a calm child. Looking on ebay it looks like you can replace the barrel nuts for approx £2 if you are so inclined https://www.ebay.co.uk/i/321685422845?chn=ps&var=510589231280. 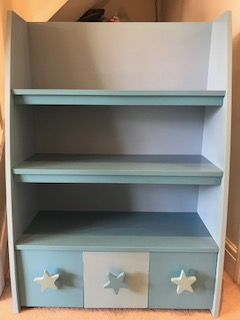 Blue Star bookcase from John Lewis. 3 shelves plus 3 drawers. Approx 100 cm x 70 cm x 30 cm. General good condition with a few chips/discolouration. Hamex Sleepy bike seat. Can be reclined slightly. Comes with quick release fixing so that the seat can be removed easily. Well used but still in good condition. 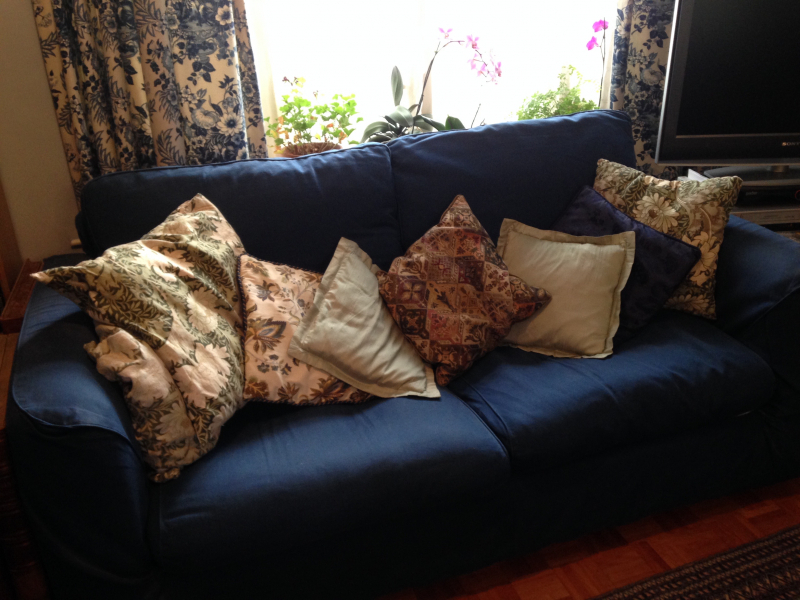 Habitat sofa bed. Double. Removable covers. Seldom used, no stains or tears. 6 feet wide 3 feet deep. Has anyone got a smallish bedside or table lamp in the Kingston district or surrounds. At present I have no transport except buses but thats fine if I can get to you by bus. Many thanks indeed. Hi, I’m looking for a plastic compost bin for my allotment if anyone has one they’re getting rid of. I’m in surbiton and can collect if not too far away. Thanks! A section of garden hose is wanted to enable me to add a soakaway section to a raised bed. 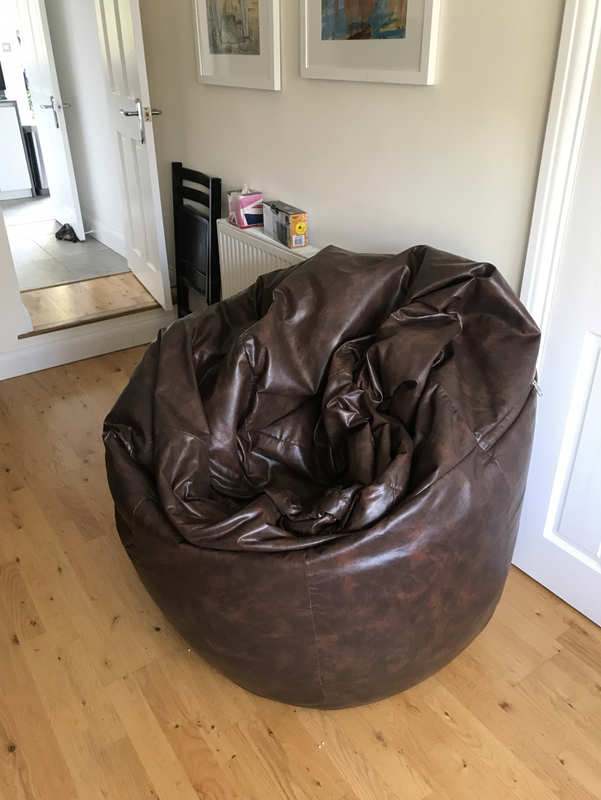 Extra large brown faux leather bean bag. Good condition.